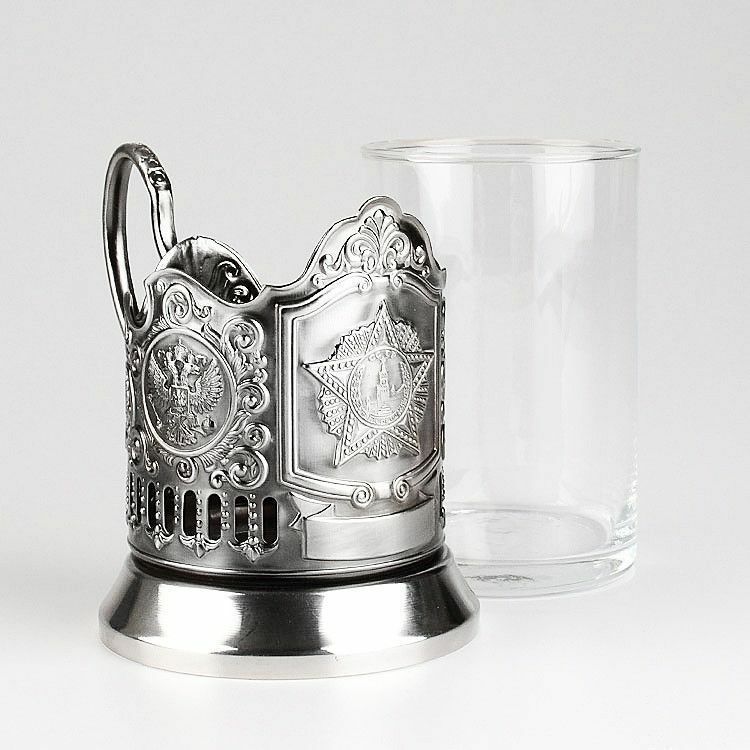 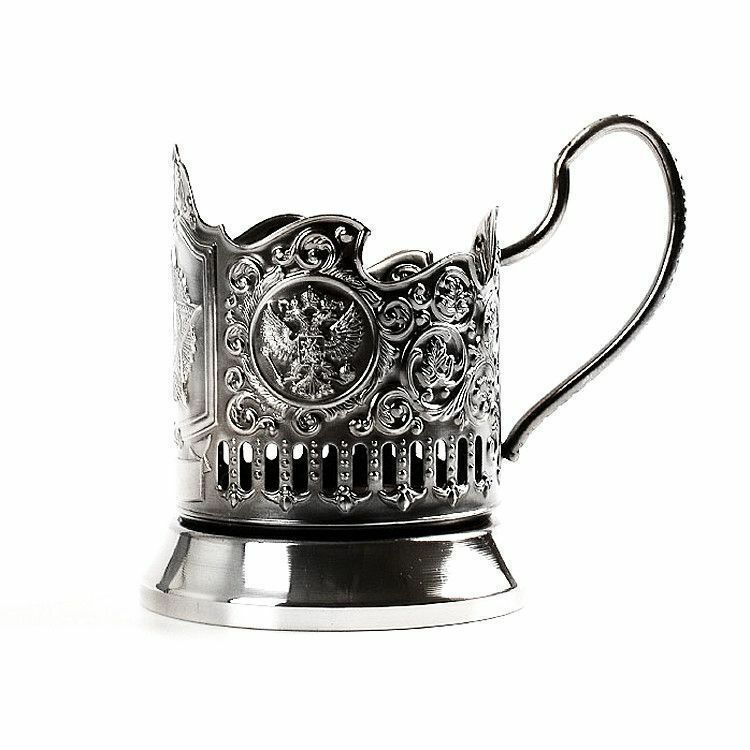 Enjoy tea like never before with this Russian tea glass holder set. 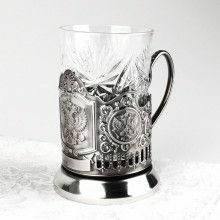 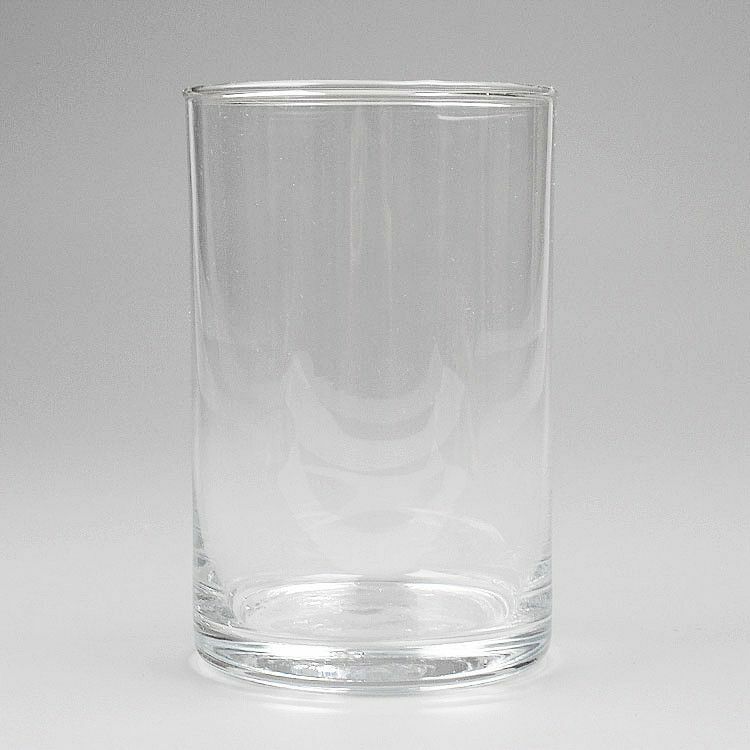 The glass is about 3 3/4" tall, the holder is about 4" tall (from the top of the handle). 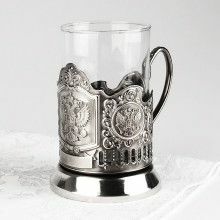 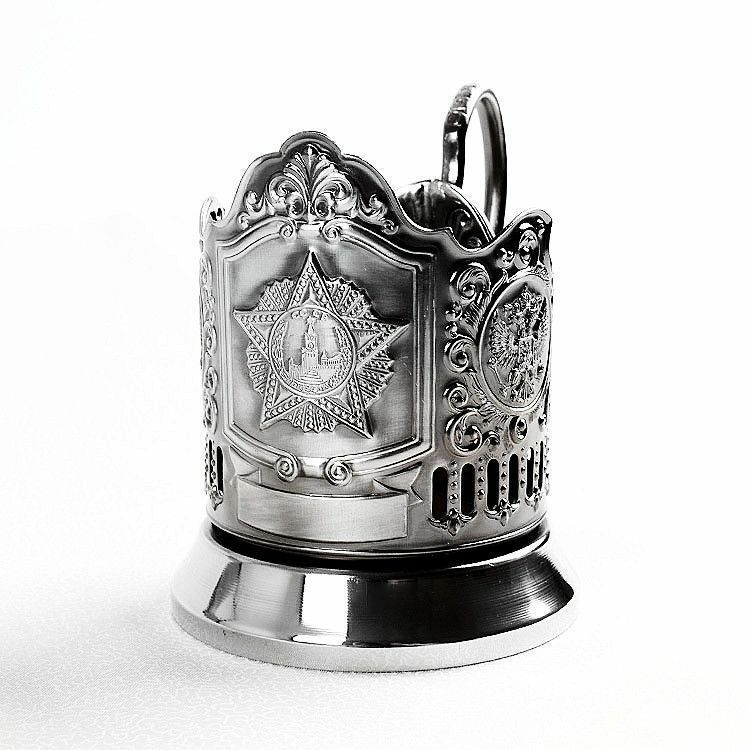 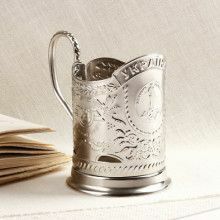 The holder is made of nickel-plated stainless steel and has Kolchugino manufacturer stamp on the bottom. The front of the holder says "Pobeda," or "CCCP WW2 Order of Victory" inside the star. 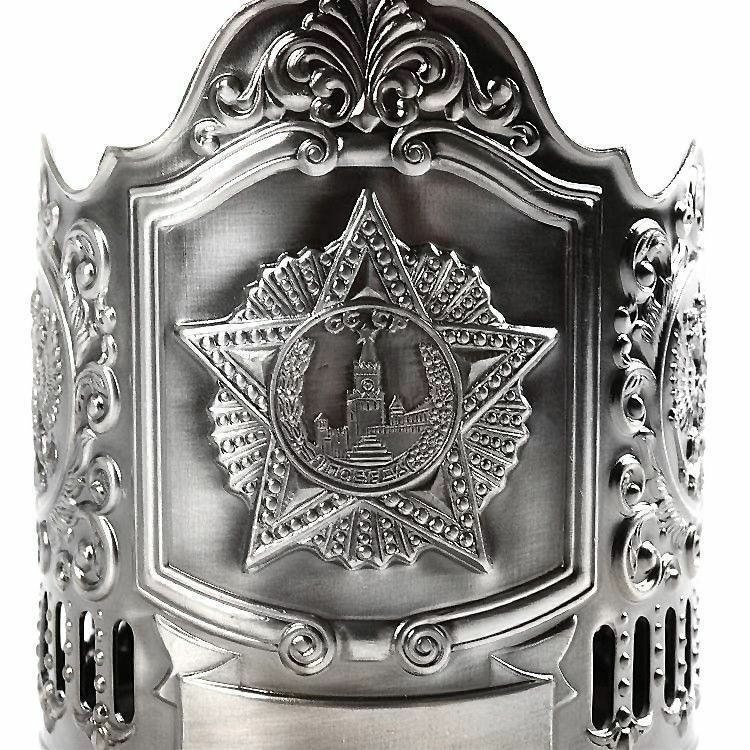 This star medallion is the highest award honored after victory of WW2. 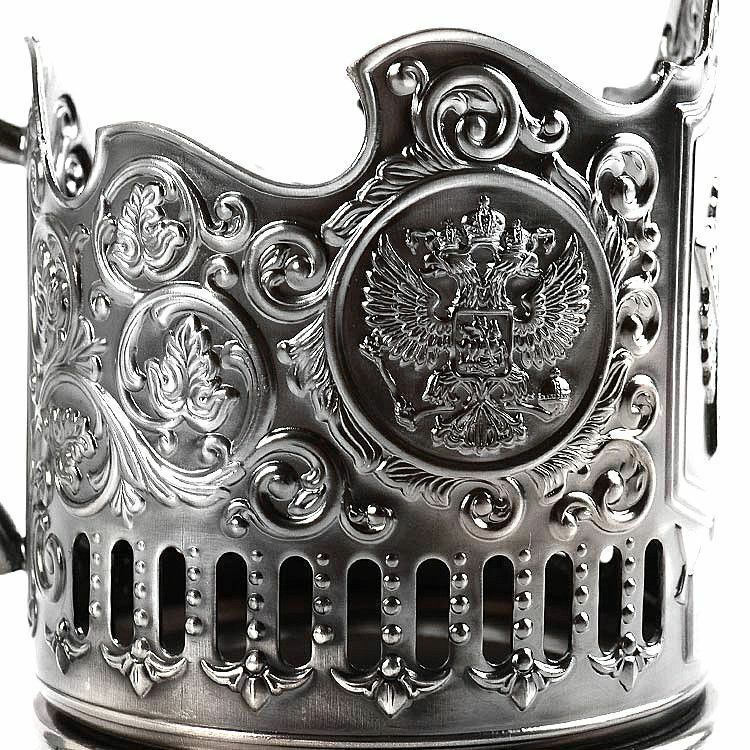 The sides have medallions with the double-headed eagle, symbol of the Russian Federation. 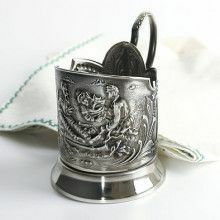 Holder top diameter is 2 3/4"